I had the chance to chat with Sheel Mohnot (from FeeFighters) to talk about how one startup helped other founders and small business owners save $50 million in the course of one year. Be sure to checkout the end of the article for a gift (worth $49) that FeeFighters is generously giving away to TSF readers! Sheel Mohnot: FeeFighters helps small businesses shop for credit card processing, making it as easy as shopping for a plane ticket on Kayak.com. In minutes, business owners can choose the best deal on credit card processing with a reverse auction marketplace that saves the average business owner 40 percent on credit card processing. Sheel: Our target market is anyone that takes credit cards. About 2/3rds of our customers take payments online (mix of startups and established companies, we have lots of e-retailers and SaaS businesses). The other 1/3rd are offline customers, like pizza shops, restaurant chains, and retailers. We find that a lot of startups often go with PayPal or use their bank for payment processing early on, and then once they get to a certain size, they realize that they can save a significant amount of money by switching to a new provider. We help them make the process as easy as possible. Sheel: Sean (FeeFighter’s CEO) ran a company called TSS radio. In his first year of operations, he was really frustrated because he overpaid his credit card processing fees by $40,000, which was more than the total profits he took in. He wanted to do something about it- so he started a blog called the Informed Merchant. informed-merchant.com was getting a lot of love from small businesses, so he decided that he could do more to help them actually save money. The idea was born that if processors compete down for merchant’s business, prices would come down significantly. We wrote the contracts to eliminate the opportunity for processors to deceive our customers – we’ve instituted interchange plus pricing, which was previously only available to large merchants like Best Buy and Wal-Mart. All of our customers combined add up to a lot of market power and processors love getting their business. I’ve noticed that your blogging style is very similar to how Mint communicated in the early days. Can you tell us why blogging is important to FeeFighters? For pagerank purposes, it’s important that these be linked to from outside sources, so there is certainly some link-bait in the mix as well. How are you gaining traction? How did you get your foot in the door in this industry? Can you share a few tips for other startups that are still in the hustle phase? Sheel: We’re gaining traction the old fashioned way. We provide a needed service that our customers love. They spread the word about us. The problem is, it isn’t happening fast enough… So we spend money on some paid search, we do a lot of buzz/PR stuff, and we are trying to build out our partnerships. We want to be anywhere that small businesses are, and we offer something compelling to our partners – the opportunity to save your customers a lot of money. We got our foot in the door in the industry by learning more than anyone else about it. Sean read a lot. He became an expert on payment processing, so much so that he’s one of the experts in this field. He’s written about it, spoken at conferences, and ultimately started a company in the industry. It’s always a hustle – raising money, getting early customers, getting processors to agree to our crazy merchant-friendly contracts, etc. The hustle phase is really important… I don’t think we’ll be out for that phase for a long time. Tips: NEVER STOP HUSTLING. If things are getting comfortable, you aren’t hustling enough and someone that out-hustles you will eat your lunch. In our business, it is important to be everywhere at once. We work hard to do that. Sheel: Lots of exciting things! We’re launching an awesome UI change to the site in the next week or so, which will give our customers Kayak-style ability to do instant searches. Also, we’re launching in Canada! Our neighbors to the north can save a lot of money on payment processing too, and we decided that we should try to reach them. We already have fantastic customers like StackExchange and OkCupid, but we’re always looking to grow our user base. 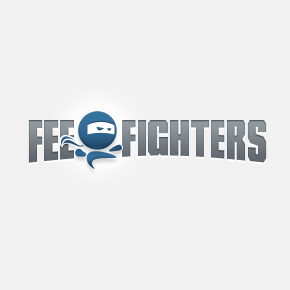 Is there anything else TSF readers should know about FeeFighters? Sheel: We decided to run a special for TSF readers – We’re going to give a free statement analysis $49 value. Send an email to sheel@feefighters.com with TSF in the subject line and your statement attached. Next Next post: Polishing your pitch: Don’t try to be everything to everyone.